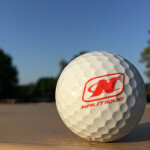 On Friday every year Nautique puts on the “Nautique Open” golf tournament that features a bunch of athletes and industry friends. 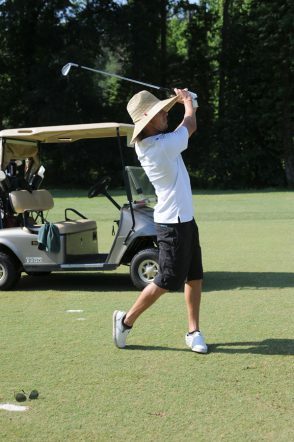 The golf tournament is equally as important to some of the riders as the on-water events. Seriously, it’s always fun getting paired up with friends and leveling the playing field off the water. Look, I’m not throwing any backside 7s anytime soon, but I’ll put up a solid fight on the course and send a few over 300 yards down the pipe. This year Ambush Board Co./BuyWake.com Team Rider, Cole Vanthof, came with us and put together a fun little Instagram video. Such a good time! Good ole JD Webb with the classic ender on that one! Before most of the action, Cole and I walked the historic grounds and filmed some of the best-looking boats we’ve ever seen. Nautique had their prized possession on site; a 1961 all original Ski Nautique, as well as every brand new 2016 model G Series. 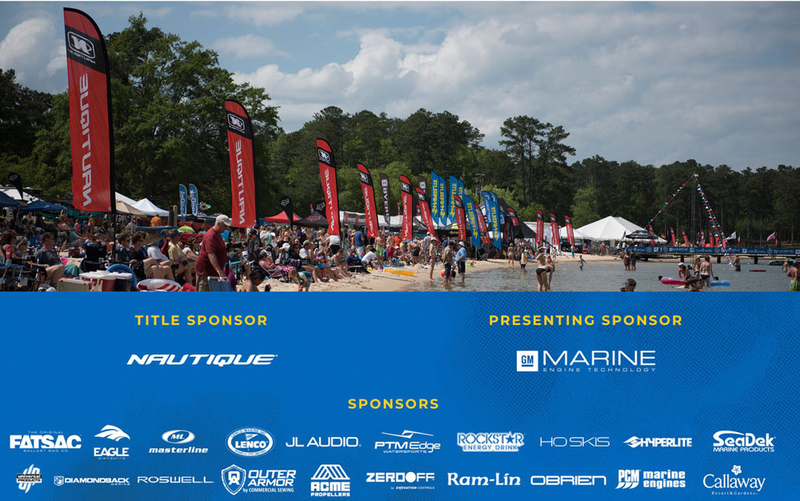 Hands down, having good partners like JL Audio, Seadek, PCM Marine, Roswell Marine, and a few others truly made the on-site experience of the Masters a joy to be apart of. Before the 2015 Nautique Boats Masters, a perfect score of 100.00 had only been achieved once in professional board sports competition history, and it was in snowboarding. Shaun White scored a perfect 100.00 in the 2012 Winter X Games half pipe and set the internet on fire with praisers and haters a like. The question we’re all asking, is a perfect 100.00 something that competing athletes strive for? Watch below and ask yourself did he score a 100.00 or 99.73? Fast forward to 2015 and check out Harley Clifford’s final run that scored him a perfect 100.00 at the 2015 Nautique Boats Masters. Now understand this…we know the comparison of wakeboarding to snowboarding is a long shot, but without a doubt, Harley Clifford truly deserved a perfect score of 100.00. If you’re able to link those same tricks together, then you too deserve a perfect score. Harley Clifford’s perfect score run will forever go into the history books as “the perfect run” and you can’t take that away from him. So to all you wakeboarders out there that want to get into this sport – start learning double flips. Seriously the game has changed. Shout out to Chad Hesse, hitting the first ever triple flip in wakeboarding history. 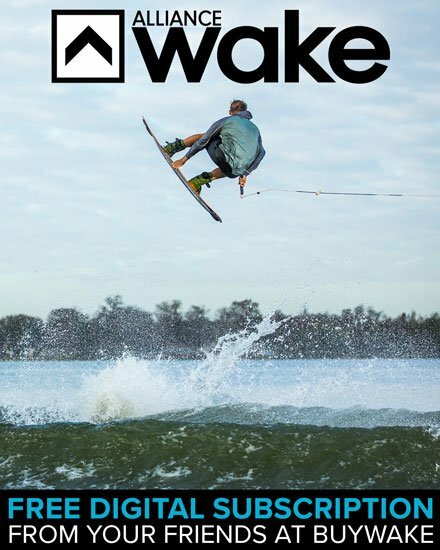 2015 is already a great year for the wakeboarding record books! 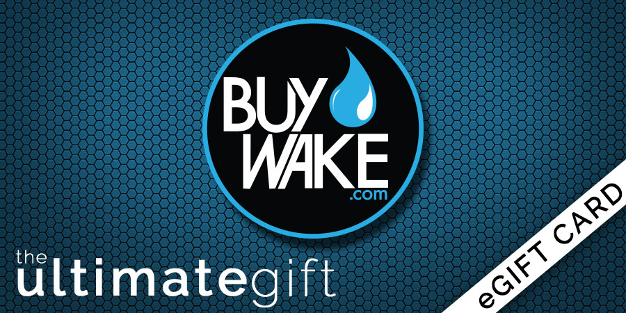 Make sure you are following BuyWake and Harley for more news, fun, and more! 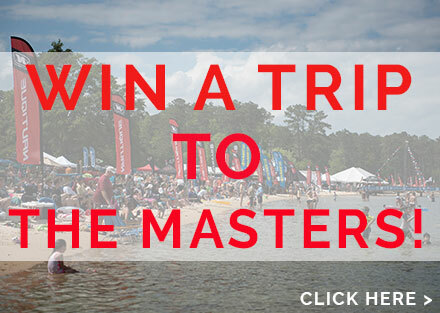 Every year the global community of water sports athletes and fans travels to Pine Mountain, Georgia to Callaway Gardens for what many feel is the greatest water ski and wakeboard event of the year. As a rider, getting invited to the Masters can be a career highlight. If you win, you join the rarefied ranks of Masters champions. What could be more fun, right? 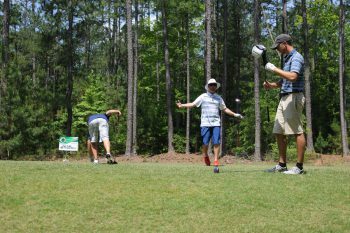 In my opinion, the real battle at the Masters can be found on the golf courses of Callaway Gardens on the first day of the tournament. 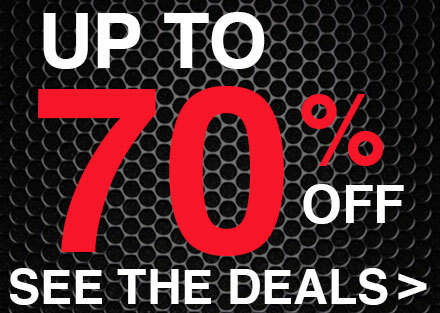 That’s when the Nautique Open golf tournament is held. 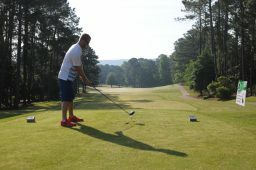 While most look forward to the events on the water, as do I, the real fun is getting all your friends who are riders and industry heads out for a round of golf. We all love this sport and want to see it grow in all aspects, but the thing is…we all really love golf, too. 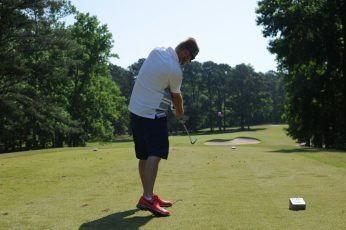 I couldn’t tell you the amount of times I heard “This place is amazing” or “I would rather play golf for a living.” This year’s Nautique Open was held on one of two courses on the property – Mountain View Course. 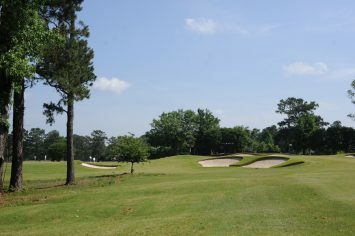 Mountain View, a 12-time host to the PGA Tour’s Buick Challenge, is an exacting test of golf that stretches up to 7,057 yards. This challenging, but playable layout will test your strategic and shot-making abilities, just as it did for PGA Tour pros when it hosted the Buick Challenge from 1991 to 2002. The list of winners is a who’s who of Tour stars, with champions including Davis Love III, David Duval, Steve Elkington, David Toms and Jonathan Byrd. My golf team consisted of BuyWake.com/Ambush Board Co. team rider Jeff Langley and his good friends, Scott and Hodges from Ten-80. We felt good, we looked good. We are Team Tito’s. Out of the gate our first hole was the long drive hole and none other than Jeff Langley hit a bomb 307 yards, but would miss the top five long drives of the day by ten yards or so. We got hot early as the dew helped slow the greens down and we couldn’t miss any putt inside 15ft. The greatest part of the day was no matter the shot, good or bad, we were having a blast. We always talk about coming back every year and how we can’t wait for this event. It’s always an opportunity to catch up with old friends and make new ones. Our team ended the day with a 79 which we were proud of, but then quickly realized that first place was a 76. The entire time we played we were playing for us. Just a group of dudes out having fun at a golf tournament, had we known we were 3 shots off the lead toward the end we probably would have hustled to get some shots. 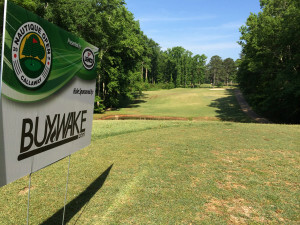 Every year we sponsor a hole through BuyWake.com and this year it was a 197 yard par 3. The best part about a par 3 hole is it’s anyone’s game. You can get a hero shot close to the hole or even go as far as to making a hole in one. We were playing like a bunch of heroes and once again another round of golf passed us by without the elusive hole in one. Beyond the Nautique Open, the beachfront on Robin Lake is the hot spot for the weekend and it’s where you can find families and friends soaking up the sun and enjoying the on-water events. 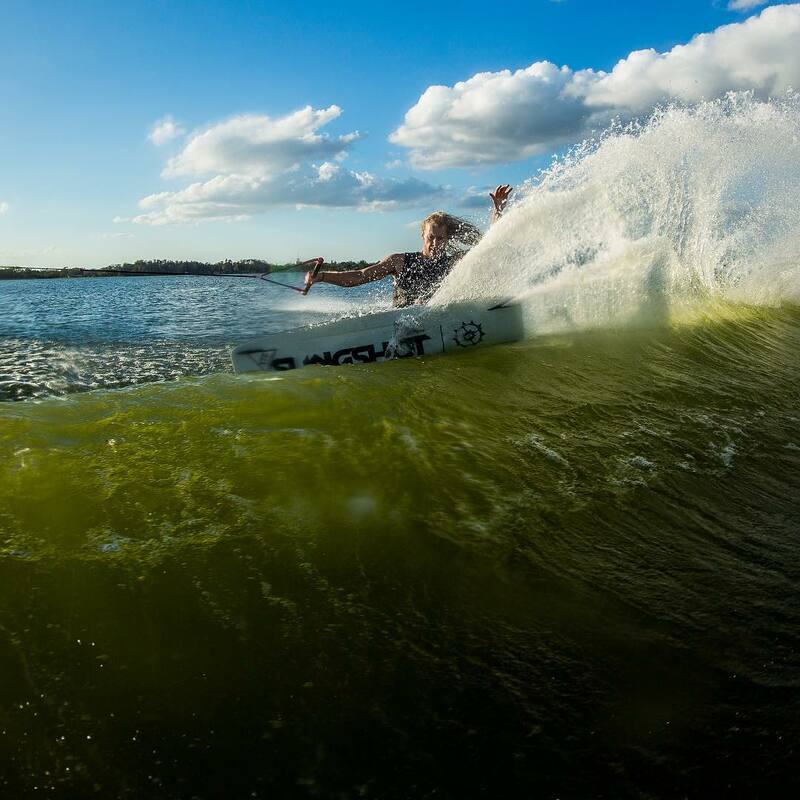 The real action on the beach can be found in the Ambush Board Co. tent where you can score some of the best deals in wake from Hyperlite and Ronix. 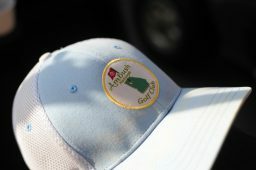 The Ambush crew has been going to the Masters for some 17 odd years and every year they kill it in sales on the beach. So mark it down in your calendar for next year, as the 56th Masters will be bigger and better! Below are some of the highlights of the golf tournament and the action on the beach, but if you want to see even more make sure to check out the #NautiqueMasters hash tag on Twitter and Instagram. 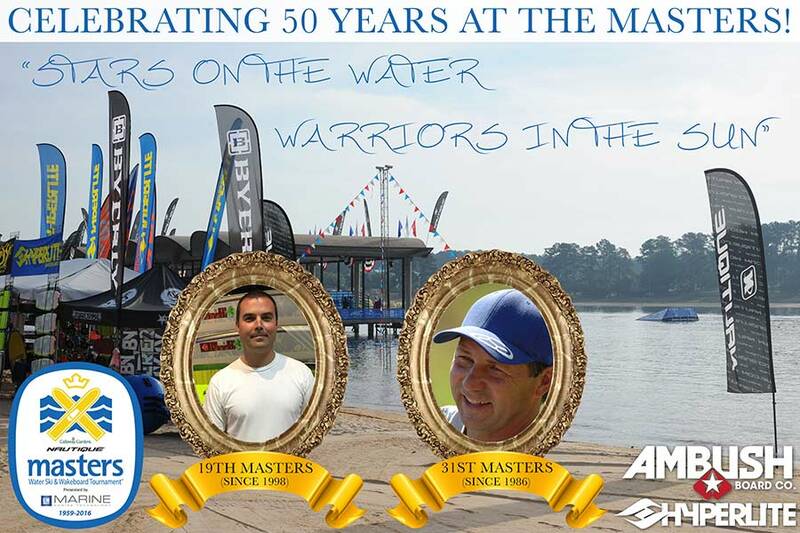 Huge congrats to BuyWake.com/Ambush Board Co. team rider Danny Hampson for winning his first Masters in Wakeskate!! !